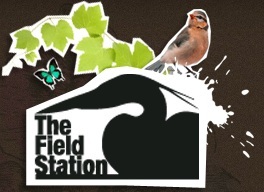 The Field Station offers both two day and three day programs for preschool aged children. The two day class focuses on acclimating children to the classroom experience with hands-on activities, daily outdoor hikes, song, dance, and fun! The three day class focuses on kindergarten preparation, cooperation, listening skills, and like our two day class, daily outdoor hikes, song, dance, and fun! Click here to view the pre-kindergarten program page. Click here to view the summer camp program page. Click here to view the parent involvement information page.